I answer my cell phone and on the other line is my customer. They have a new product and need some ideas on how to package it. How do I know I am offering the best packaging options to fit their needs? 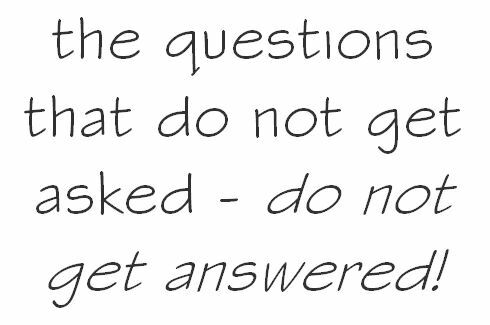 The answer…by asking the right questions. In the first post of this series we reviewed some questions to ask about the product. Now that we have the information needed about the product, we can move on to determining the best method or style to package the product. Although this method is usually driven by cost, it is important to ask the questions so that the right packaging is developed. 1. What type of protection does the product need? One of the main responsibilities of packaging is to deliver the product to the customer without damage. Certain packaging types are needed to be able to protect the product better. It is important to understand how the product needs to be protected and design styles of packaging around those features. Packaging a screwdriver will be much different than packaging a light bulb. 2. Is there a certain style of packaging desired? Carton, clamshell, blister, trapped blister, envelope, etc. Even though a lot of questions are asked to determine the right style of packaging, it is always a good idea to get the manufacturers thoughts on how they would like to see their product displayed. 3. What materials are desired? Which types of materials should be avoided? Available material options include certified boards, recycled plastics, microwavable, dishwasher safe, etc. It is also good to find out if certain materials should be avoided. Some retailers do not like certain materials and it is important to know where the product is being sold so the right materials can be selected. 4. Who is doing the assembly? Depending who is doing the assembly and what type of equipment they have will dictate or eliminate some types of designs if purchasing capital equipment isn’t an option. 5. What type of visibility does the product need? Some products have multiple components to them and some need to be visible while some do not. Understand the visibility requirements. It is typically always better to show at least some of the product when possible. This helps to ensure the customer is buying the right product. Try to show the product when possible. 6. Does the packaging have a use after it’s purchased? In some cases the packaging will be used to hold a product for multiple uses by the consumer. Examples are: screws, eggs, cereal, etc. The product will most likely not be used in one use, so the packaging has to be designed for multiple uses. In this case, open and close features become very important. The full list of questions to ask when designing packaging is significantly longer than listed here and continues to grow as technology and processes evolve. The goal is to ask questions that are relevant to the product you are packaging so that greater success is achieved. At the end of this series, I will be sending out a complete list of questions to all who are subscribed to my blog. Visit http://www.brianjpankratz.com and subscribe to this blog if you are interested in receiving the full version. For questions or if you would like help with designing your products packaging, contact Brian Pankratz at Display Pack, bpankratz@displaypack.com. How do you know what questions to ask when designing new packaging? We all have an opportunity to see the finished product when it reaches the retailer, but what steps took place to launch the packaging the way it appears on the shelf? Sometimes, important details are missed because the right questions were not asked. Over the next several posts, I will offer important questions that assist in ensuring the right packaging is designed. If packaging already exists, these same questions can be used for packaging that will be redesigned as well. The first step in designing packaging is to understand the product(s) you are packaging. There are times when the product will limit some types of packaging designs. Asking the right questions will help identify this early on and give a clear understanding on the available options. What makes the product unique and are there specific features that need to be addressed? Glass, food, electronics, and fishing poles all have a different starting point. What is the weight/size of the product? This will help identify materials for protecting the product. What testing requirements will the packaging go through? Drop, ship tests, biological, etc. Are there any desired price points for the packaging? This is an important question. If you are packaging products that will be sold in a dollar store, your packaging options may limit you since cost will be a key component. What type of security will be needed for the packaging? Does the product need to be secure or can it be opened for trial in the store? In many cases, if the retailer allows opening packages, having the product accessible to the consumer will result in less damaged packages. What are the goals of the packaging? Sustainability, shelf appeal, lower costs, etc. This is one of the most important questions! Who is the target audience? This can help determine additional options; such as, easy open features, how product is displayed, font type, etc. There are many more questions that need to be asked in the initial stages. Most of the questions asked will have a direct effect on how the product is packaged. At the end of this series, I will be sending out a complete list of questions to all who are subscribed to my blog. Visit www.brianjpankratz.com and subscribe to this blog if you are interested in receiving the full version. We also use this with our customers when launching new packaging. These questions are an important step in the process to ensure the product is packaged correctly to help increase the sales of the product. For more information on designing packaging for your product, please contact Brian Pankratz at Display Pack, Inc. – bpankratz@displaypack.com. This is the final post in this three-part series on, “Reasons Why Packaging Designs Fail.” Sign-up today to get the next blog post/series delivered directly to you inbox! You can subscribe at www.brianjpankratz.com. How a product is packaged is one of the most important decisions manufacturers make. Good packaging can provide increased sales and consumer popularity, while bad packaging can send a product spiraling with a one-way ticket to the clearance rack. There are many reasons why packaging designs fail. We covered how design and structure can both contribute, in this post we will review failures in marketing. As the saying goes…“People don’t remember what you say, they remember how you made them feel,” is also true for packaging. Every single element of how you package your product, whether consciously or subconsciously invites an emotional response. This goes for product comparisons as well, meaning, the products you compare your product to can speak to the overall quality of your product. Have you ever wondered why Nike finds room in their budget to hire superstar athletes to be in their commercials? You guessed it…They want to send a message that winners wear their product. 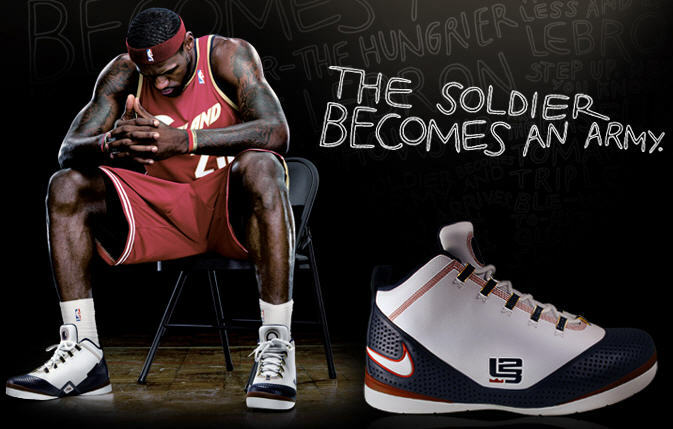 Their product helps you to be great, confident, and will bring you one step closer to victory. I you want to be great, then you should buy their product. You will not find them creating adds without an emotional connection. The same rules should apply for packaging, look for ways in your packaging to create an emotional connection with the consumer. 1. Missing Your Target Audience: Before beginning the packaging design process, one must define who the likely consumer is. This information will help determine graphics, colors, fonts, etc. for your product’s packaging. 2. No Benefits Listed: People buy solutions, has your packaging defined how your product solves their problem? Let’s take it a step further…not only how it solves their problem, but how it solves their problem better than the competition. Do you know the benefits of your competition? Don’t clutter the packaging with a long list of benefits, but highlight the most important features and find unique ways to communicate them within the packaging. 3. No Stance: Not having a clear understanding of your product or brands message can send a confusing message to consumers. Be consistent with what your product or brand stands for. The reality is, not every product wins by being environmentally or nutritionally focused. The consumer may just want to know if the packaging is recyclable. Have a clear and consistent message with your packaging. 4. No or Poor Imagery Used: A picture is worth a thousand emotions. Beware of using the valuable space on your packaging with text. Ensure to select the correct image. 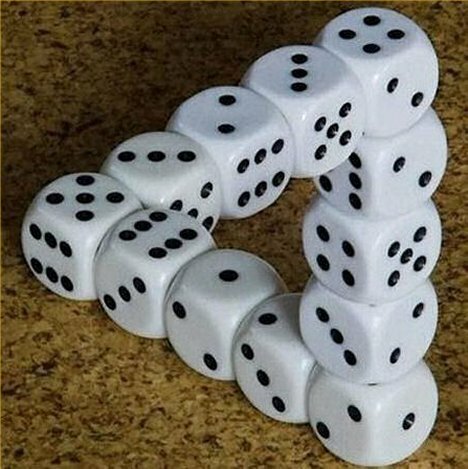 Two people can look at the same image and emotionally perceive it differently. Images work better than text when attempting to connect with the consumer, however, the wrong image can send negative emotions. Example: You need to select an image for the front of your packaging for a home security system. What image would you choose; a) A photo of the product b) A family safe and secure in their home c) A picture of the security systems operator d) A burglar trying to break into a home e) a single woman holding a child activating the security system? Think through each example above and how the different images may invoke fear, safety, protection, happiness, worry, etc. Some images may not connect with all consumers or may not relate well, so choose wisely! Creating the wrong emotion may prevent a sale. 5. Poor Packaging Consistency: When packaging multiple products, it is important to package the different products so the consumer would be able to associate them as the same brand. Using the same colors, style of graphics, shapes, etc. when possible, will help to establish your brand. If you want to build brand loyalty, make it easy for the consumer to find your product. Packaging is something that just about every product needs. The decision on how to package each product can lead to a huge success or contribute to the extinction of a product. Find ways to create unique designs that capture the attention of the consumer and convince them that your product is what they have come to the store to buy. This is the second post in this 3 part series on why packaging designs fail. Don’t forget to sign-up to have each post sent directly to your inbox. You can subscribe at http://www.brianjpankratz.com. In the last post we talked about three areas to consider when packaging designs fail; design, structure, and marketing. Last week we focused on design, this week we are reviewing structure. To read the first weeks post on design, click here. We all need to be on the same page when talking about “Structure”. Structure is defined as the materials, construction, and shape of the packaging used to package the product. 1. Damaged Packaging: Nothing says, “Don’t buy me,” more than a damaged package. I am not talking about the consumer inflicted damage by ripping open a package after purchasing it and then returning it to the store. I’m talking about the packaging not being able to withstand the shipping and handling process involved with getting the product to the retailer. Choosing the right materials when packaging a product is critical. Whether it’s deciding the type or thickness of either plastic or paper board, the wrong materials can affect the sale of a product. Choosing the wrong materials can result in damaged packaging or in some cases, damaged product. Everyone wants to save on costs, but when packaging doesn’t maintain integrity, the sales of the product suffer. 2. Over Packaged Product: Not only is not protecting a product bad, but over packaging products are also costly. I remember walking down the aisle in my local big box retailer, and seeing a product the size of my fist packaged in a sealed clamshell that was about twelves inches square in size. The product was grossly over-packaged and not sustainable in the least bit. Note: How can the first two be resolved without issue? Packaging testing! Know the specifications needed for your packaging and do testing to ensure the product and packaging will arrive without issue. 4. Shelf Presence: When designing packaging, one of the questions we ask is, “Does this package need to hang, stand, or both?” It is amazing how many out there seem to skip that question. Once we understand this question, we now need to find a way for the packaging that we design to POP. Gaining the attention of the consumer can be done several ways; shapes, colors, graphics, etc. Determine what would gain command on the shelf and then create something unique. 5. Poor Usability: Usability refers to packaging that facilitates the use of the product. Whether it is the perforations of a chip board carton to allow easy dispensing of the product or locking features on a clamshell, it all provides either a positive or negative experience for the consumer. The key is to create functional packaging that properly assist the consumer with the use of the product. Creating a positive experience for the consumer shouldn’t end after the purchase is made. When packaging is designed with the proper structure, it can attract consumers, properly protect, and even prolong the shelf life of the product. The idea is to create packaging designs that do all of the above. Create an experience for the consumer that makes them appreciate you for how you have decided to package your product. To get more information on creating packaging that sells without failing, contact Brian Pankratz at Display Pack, Inc., bpankratz@displaypack.com. The next three posts are going to be dedicated to defining the elements on why certain packaging designs fail. If you want to get the next post sent directly to your inbox, subscribe at http://www.brianjpankratz.com. Before we get started talking about why some packaging designs fail, we all have to come to the realization that somewhere just under our ego is opportunity for improvement. It’s pretty tough to admit failure, but it becomes even tougher when we don’t admit it and learn from it. Another thing to understand is that there is a level of opinion that goes into what makes a design a failure or success. When we talk about packaging design, there are three different areas to consider; design, structure, and marketing. We are going to talk about the design aspect in this post, and then cover structure and marketing in following posts. So, let’s start with design, what factors of the overall packaging design can contribute to failure? 1. Packaging costs – Start with an understanding of what the cost of your packaging should be. Understand what equipment is necessary to assemble each style. There are many factors that affect the overall cost of packaging your product. Make sure to review all of them. Not doing this could result in higher costs and make you uncompetitive in the market. 2. Poor Protection – Packaging has multiple functions. It needs to help sell the product, but it also has to successfully transport the product to the consumer without being damaged. Nothing screams, “Don’t buy me,” more than damaged or worn packaging. 3. Where’s the product – Very few products should be kept out of view from the consumer. When possible, you need to show the product. The more creative way you can show the product, the more attention it will gain. Hiding your product in the packaging will make it harder to locate on the shelf. 4. Easy Access/Easy Open – Know your target audience and how they use your product. Some consumers will avoid certain products due to hard-to-open packaging. Understand the security aspects that are required and build in easy open features when you can. 5. Lack of Creativity – There are many options for creating attention in the simplest of packaging designs. Plain packaging designs may be overlooked and run the risk of never being found. Understand the different design options that are available at no extra cost that can and will draw attention to achieve added sales. There are several companies out there (including Display Pack) that offer free packaging design evaluation. Do your homework and ask questions! Be creative! The goal of every packaging design is to match the needs of the consumer with the abilities of your product. Good packaging should attract attention and then explain what makes your product unique and better than your competitors. Not doing so can result in a level of packaging design failure that could have been avoided. For more information on how you can creating winning packaging designs that create attention and resist failure, contact Brian Pankratz, bpankratz@displaypack.com. This week we are wrapping up our series with The 4 Steps To Every Consumer Purchase. 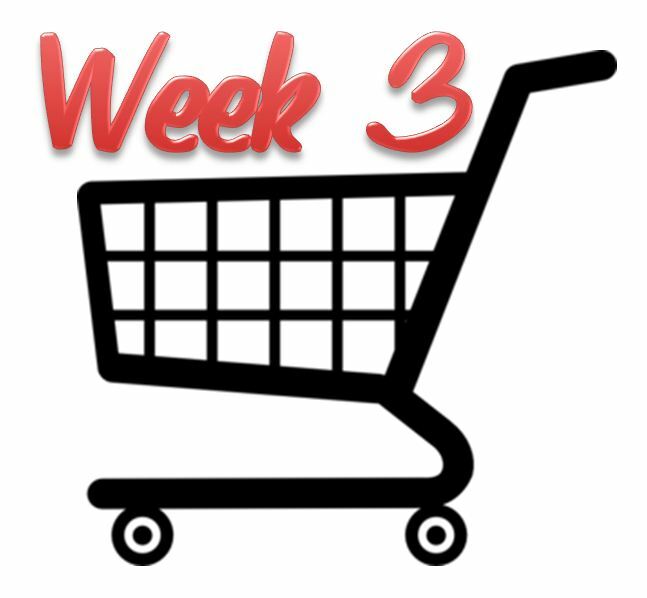 If you missed any of the previous weeks, you can find them here…Week 1 – Scanning, Week 2 – Price, Week 3 – Comparison. Making a purchase is an emotional process. Manufacturers need to offer products that help the consumer confirm that they are making the right decision. The last and final step is the Confirmation step. Will I have to return this product later? Will this product be easy to use? Most importantly…do I “feel good” about this purchase? Yes, it’s true. Consumers need to feel good as they make the walk to the register with your product in hand. Have you ever purchased a product and shortly after leaving the store felt regret about your purchase? This is called “buyer’s remorse” and it is a very real emotional response in the buying process. If, through your packaging you have answered the price (value) and comparison questions, then the potential for a negative emotional response is reduced greatly. Packaging has the ability to generate excitement about the purchase as well as an eager expectation when the product is removed from the packaging. When all of these steps are in line, you have a successful package. The way your product is packaged matters. Consumers respond when products are packaged with them in mind. They receive the needed confirmation that the product is exactly what they are looking for, this is successful packaging. When the consumer confirms that you have the best product and they have a sense of security with their purchase, loyalty is built. Can you think of any products that have a loyal following? If so, care was put into the way that product was packaged. Packaging does matter, and those who take the time to understand how to package their product to communicate all 4 steps will have a better chance of building their customer base. For more information on creating packaging that captures all 4 steps and helps to build customer loyalty, contact Brian Pankratz, bpankratz@displaypack.com. Don’t miss a week! To get the next post in this series sent directly to your email, subscribe at, www.brianjpankratz.com. Welcome to week 3! Let’s recap…in week 1, we talked about the Scanning step, creating a package design that attracts the attention of the consumer. 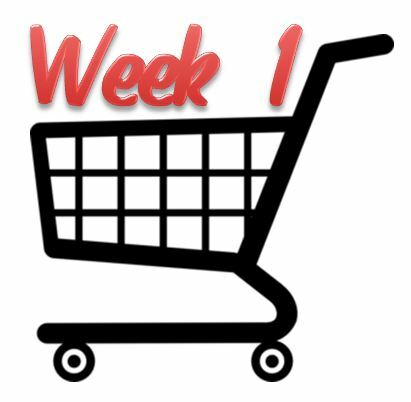 In week 2, we talked about Price, making sure the consumer agrees with your price point. This week we are going to talk about what happens after the consumer finds your product and then processes the price. This step is called the Comparison step. In the comparison step the consumer wants to make sure they have selected the best product for their money. So, even after they find what they like and agree with your price point, the consumer will still compare their choice to make sure their selection is the right one. It is important to know what role packaging plays in this step. The way product is packaged can either bring additional value, or give the consumer hesitation in making a purchase. Is your product the highest or lowest priced compared to your competition? How does your competitor pack their product? If in a bag, a blister pack or clamshell may offer your product a higher perceived value. Does your packaging help the product stand out among the other products? Are the specifications or benefits of your product clearly mentioned? There are many things to think about when creating packaging for products that will be compared to one another. The goal is to design packaging for your product that has a loud but comforting voice to the consumer. Each product is different and special consideration should be given to each product before assuming how it should be packaged. The goal of the comparison step is to offer security to the consumer that your product is better. Consumers aren’t afraid to spend more money if they know they are getting a better product. How does your product compare? For more information on creating packaging that can win the Comparison step, contact Brian Pankratz, bpankratz@displaypack.com. Welcome to Week 2 of “The 4 steps to every consumer purchase”. If you missed week 1, you can find it here. When consumers shop they follow four steps before they make their purchase. Understanding the pattern and focusing on how this relates to packaging can help to sell more product, while increasing profits. In week one we talked about the first step, scanning. Consumers start the purchasing cycle by letting their eyes scan the products until one specific product wins their attention. The consumer has now found a product they like, what do they do next? They look at the price. Seems pretty straight forward, right? Well it is…but the important thing in this step is to understand what questions the consumer asks after they see the price. Is the price what I expected to pay for the product? Am I getting the best product for the money? Before the consumer looks at the price, they have an idea of what the cost should be. So, how does packaging play a role in this step? Simple, more affordable packaging can reduce the overall cost of the product. The cost of your packaging can help you to be more competitive and win more sales. There are some simple ways to get cost of out your products packaging without sacrificing quality or overall design. Reducing the product to package ratio and using alternative recycled materials are good places to start, but there are many other ways to reduce cost. New designs that can attract more consumers should be considered as well. The goal is to improve each step of the process. Creating a new design that is more attractive along with reduced costs in packaging is a great combination that will help to win the sale. Join us next week as we learn what happens when the consumer isn’t satisfied with the price point of your product. To learn more about creating packaging designs that save you money and increase profit, contact Brian Pankratz, bpankratz@displaypack.com. So, how exactly do products get from the store shelf to the checkout? Understanding the steps of what happens when a consumer enters the store until they reach the check out may help you to sell more product. Over the next four weeks, I am going to break down the four steps that the average consumer takes before they make their purchase. With every consumer there is a sequence of events that takes place before a purchase is made. Understanding what they are and how to capitalize on them will be key if you want to sell more product. There are three types of purchases: impulse, wants and needs, and predetermined. I will be covering these later in future posts, but for now we are talking about purchases that may be impulse or wants and needs. The first thing consumers do when they look for product is scan. They stand in front of the available products and their eyes scan across all of the choices they have. 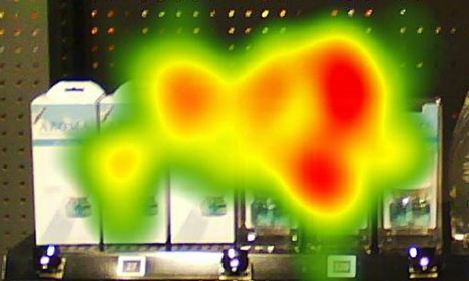 During the scanning step, the consumer has an idea of what they are looking for. The consumers eyes scan until the attention of the consumer is attracted to one product. Unless you can get the attention of the consumer, you will most likely miss the sale. Design packaging in a way that demands the attention from the consumer and that can be easily spotted or recognized. Create features in your packaging that are unique. Add interactive features that draw the consumer to pick up the packaging to further inspect the product. Have a clean and clear message that relates to the consumer. The reality is, if the consumer doesn’t notice your product, they won’t be able to buy it. Uniqueness and creativeness need to drive your packaging design. When a consumer sees something that is new or different from what they expect to find, their attention is captured. When consumers scan, the packaging design needs to be the connection to help them discover your product. Creating a packaging design that helps the consumer to find your product is the first step in getting your product to the check out. Stay tuned for Week 2: Pricing. To learn more on packaging your product so that it can be found, contact Brian Pankratz, bpankratz@displaypack.com. 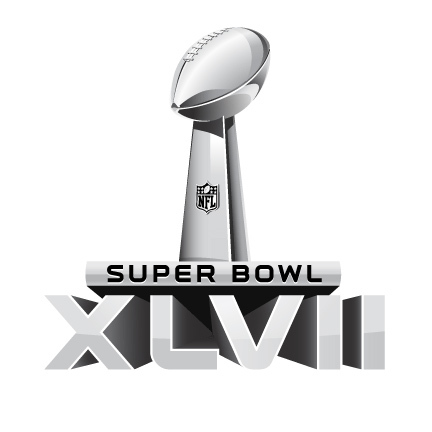 Do you know anyone who watches the Superbowl for the commercials? Did you find yourself waiting to be amused when a new commercial came on? 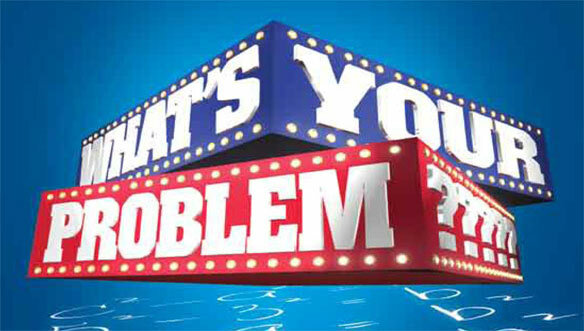 Ask yourself this question…if companies can produce commercials during the Superbowl that draw our attention and get us laughing and talking for days , then why aren’t commercials like that all year-long? Have we been programmed to just settle the rest of the year and only expect greatness in advertising while watching the Superbowl? Since we’re talking about packaging, I’ll ask another question…why do some companies settle when packaging their products? If packaging helps to sell the product, then why would anyone want to settle for packaging that doesn’t “WOW” the consumer? The fact is…new packaging designs take time and resources. I completely understand that our schedules make it tough to fit in additional projects. But, what if I told you that I can evaluate your current packaging and offer honest feedback at no costs? Offering designs that could leap-frog your product ahead of your competitors? Would you be interested? What do new packaging designs offer? 1. Reduced cost for packaging resulting in increased profit. 3. The use of more sustainable materials. 4. Smaller carbon footprint in manufacture process. 5. Reduction in packaging components used. 6. Increased satisfaction among retailers and consumers. If you have products that you are responsible for and want to find out if there are better ways to packaging them, contact me and let’s talk. Step one is to have a quick discussion to decide if there is a fit for us to work together. If there is a fit…we continue, if there isn’t a fit…we don’t. Pretty simple and shouldn’t take more than 15 minutes. Don’t let your packaging turn into every other design. Make it unique and “WOW” the consumer with every product you have! For more information on creating new packaging designs, contact Brian Pankratz. bpankratz@displaypack.com. 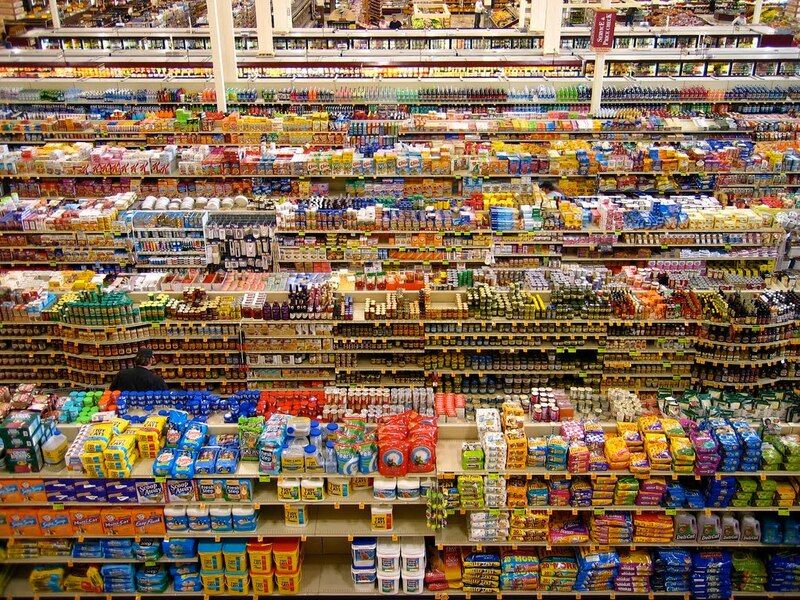 Have you ever been in a store and shopped the product you manufacture? Not only shopped your product, but also shopped your competitor’s product? Maybe a better question is…what can you learn by shopping your own product and why would you want to do this? 1. Know what the retailer is saying about your product: Sales associates help consumers make decisions on what products they should buy. They offer their opinion and in most cases, their opinion will sway consumers to purchase certain products. Understand what the retailers are saying about your products. 2. Understand what your competition is doing: It is always a good idea to stand in the aisle where your product is offered to see how it compares to your competition. For example: if your competition is packaging all of their product in clamshells and you have made the decision to use bags, your presentation may lose the sale. 3. Shelf placement: Does shelf placement matter on how you package your product? The answer is…Yes. This will help determine how you show your product in the packaging. It’s not easy to always know where your product will be placed, but some items are commonly placed in certain areas. 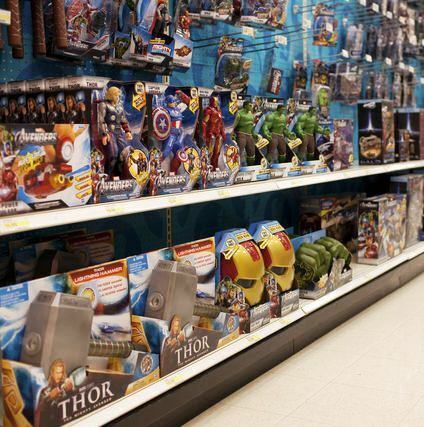 Whether in a bulk bin, end cap, or stand alone in-aisle display matters. Maximize your products visibility by using packaging that helps show your product better from all angles. 4. Product presentation: This one is easy…walk up to your product as if you were the consumer and determine if your packaging has something that grabs your attention. Features can be added in the packaging design that spark curiosity and draw the consumer in. Also look for anything that takes away from your product, such as a glare on the plastic that makes it tough to see your product. Make sure your packaging, “POPS”! 5. Knowledge of your product: This one may not be for everyone, however, if your product requires the sales associate to know certain features that will help them to sell your product better, make sure they are offered information with supplemental training to inform them. This can be as easy as inserting an extra instruction sheet into your master carton with your product that is titled, “What you need to know,” or a customer care phone number to call and get more information. At the least, put all major selling points in your graphics so the consumer can be made aware of your products benefits. If you would like to learn more on creating better packaging designs for your product, contact Brian Pankratz, bpankratz@displaypack.com. Don’t miss a week, subscribe to get posts sent directly to your inbox. – Week 3: How Important is Profit? Plan-Plan-Plan! Welcome to week three of, “How to cut costs and maximize profit in the New Year.” Let’s start with a question: How important is profit to your company? The ability to keep the doors open depends on your ability to create profit. Not only is being profitable important, it allows organizations options to produce additional growth. Investing in new equipment and launching new products is dependent on the ability to create profit. To summarize where we have been in this series…in week one, we reviewed ways to design your packaging to increase profits. In week two, we covered how being sustainable can increase profits. This week we are going to focus on how planning can either increase or take away profit. Regardless of what industry you are in, the same goes for all…poor planning will contribute to increased costs. The better planner you are, the more you can eliminate added costs. How orders are placed, how packaging is designed, and how much time is allowed to complete projects are all examples of areas planning is important. In the year 2013, company ABC plans on launching five new products. They are similar in size and shape, but do have features that make them different. The method of packaging will be a clamshell with an insert card. Poor planning: Create five different clamshells to custom fit each product. Result: The “Good planning” example will have the same packaging for all five parts. Since the packaging is similar for all five, the quantities will be more, which will allow for better pricing and will result in one part number being used over five parts. The insert cards will be a common die line which will result in better pricing for printing. Also, it will reduce the chance for obsolescence packaging costs. There are several examples similar to the one above that can lead to increased costs due to poor planning. The goal is to work with suppliers that can identify these areas and help reduce your costs resulting in increased profits. Sometimes, identifying these areas can be difficult, so it is important to partner with those who have a track record of reducing costs while increasing the value of your packaging. 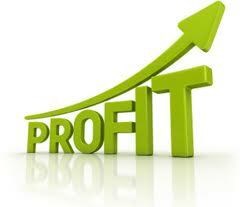 Create profit in 2013 and do it by being good planners! For questions or for more information on how you can increase profits in the coming year, contact Brian Pankratz at Display Pack, Inc. bpankratz@displaypack.com. Don’t forget to subscribe to get posts sent directly to your inbox! – Week 2: How to cut costs and maximize profit in the new year! 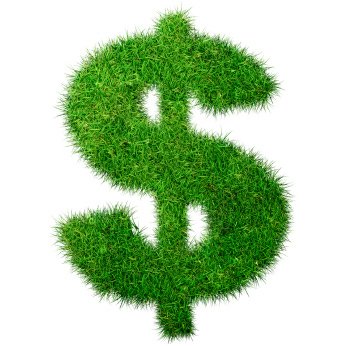 Week 2: Sustainability increases profits! Yes, the title is right…packaging your product in a way that communicates your companies care for the environment can help profitability. Why? The reason is…consumers like manufacturers that care about the environment. decision to be sustainable? You guessed it, if you are taking a position to use recycled materials, tell the consumer. For some consumers it may be the deciding factor with two like products at equal price points. There are easy ways to package your products to promote sustainability. The raw materials you use, the use of certified materials or paper boards, keeping a low product to package ratio, possible down-gauging thermoformed plastics, and the best way is to actually tell the consumer verbally on your packaging. Use easy to recognize symbols and verbiage that tell the consumer that you are focused on the environment. Consumers desire products from companies that they know are doing their part to help the environment. My advice is…be sustainable and communicate clearly how you are helping the environment with the way you are packaging your products. For more information on how to cut costs and maximize profit with your products, contact Brian Pankratz at Display Pack, bpankratz@displaypack.com. – Week 1 – How to cut costs and maximize profit in the new year! It’s that time of year again…executives around the globe are finalizing departmental budgets and are in the process of communicating next year’s cost savings targets. Over the next three weeks, I want to offer areas to help find these savings since many years of eliminating waste can make it difficult to find additional savings. The first thing to remember is, just because you reduce the cost of the packaging does not mean you sacrifice quality or create a less desirable package. Both cost reductions and better overall packaging can be achieved together. Also, if you already haven’t, I want to invite you to subscribe to this blog to receive future updates in this series. If you know others that need this information, pass it along. If you have questions or need more help, reach out to me for help. Here we go…Week 1: New Designs That Save. One of the best ways to reduce the cost of your packaging is through creating new designs. Many different objectives can be met by creating new packaging designs. The use of more cost effective materials, using less materials, creating designs that are easier to assemble, etc., are all areas to focus. Why is design the best? The reason I believe this to be the best method of reducing cost is because of the added benefits that will follow. Do you think that reducing the cost of your packaging along with increased sales would benefit your company? Of course, and that should be the main focus when you create new designs. Other areas to review are your graphics. Using spot colors adds cost, are they really needed? Understand what is involved to assemble your packaging. Look for ways to reduce labor costs in the assembly operation (number of total pcs.). Look for ways to create added value with innovative or captivating features. Understand the value that each change can offer whether it is reducing costs or adding more value! Adding these all together can bring huge costs savings while also increasing additional sales. Don’t just alter existing designs when a fresh new look is what your brand needs. The task of designing new packaging can be overwhelming, don’t do it without the proper consultation. For more information on getting the most out of your packaging, don’t hesitate to get others involved. I have been a part of this process in the past and records speak for themselves. Winning the Ameristar Award 5 out of the last 6 years was not easy, but we are proud of the work we were able to do for our customers. For questions or for more information on new packaging designs, contact Brian Pankratz at Display Pack, Inc., bpankratz@displaypack.com. A recent article was sent out by State Farm Insurance. 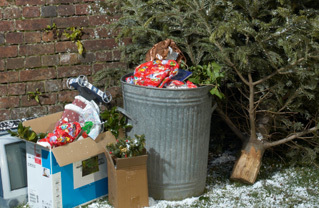 It was titled, “11 Tips for an Eco-Friendly Holiday.” It stated an amazing, yet alarming statistic from the Environmental Protection Agency that between Thanksgiving and New Year’s Day, the amount of U.S. household waste increases 25 percent (1 million tons). Is it just this simple? The way to be more eco-friendly is to just buy smaller packaging? Is this even good advice? Although we know that there is much more than size that makes packaging eco-friendly, none of that was discussed. Either way, it is good to note what the message was that was communicated. We need to be aware of the messages that are being sent by those not in the industry that may influence the consumers purchasing decisions. How do you get the attention of those who want to be more eco-friendly by what they purchase? The answer is through communicating this with your packaging. Although size of packaging is one area, consumers are looking for those companies who communicate through their look, verbiage, or graphics, etc. that they are concerned about the environment. This statistic is good for us to know and should push us to create more eco-friendly packaging designs. We need to be aware corporately and personally on what we are doing that contributes to the increased levels of waste, and make changes where it makes sense. The environment is a serious issue. My advice would be to make yourself aware of ways that you can improve your product’s packaging to be more sustainable. If you need help, there are many manufacturers that stay current on new materials and process that can help. Whether you contact me or someone else…doesn’t matter, just make the effort and do your part to help the environment. Read State Farms full article here. For more information on creating Eco-Friendly packaging designs, contact Brian Pankratz at Display Pack, Inc., bpankratz@displaypack.com. As product “XYZ” sits on the shelf collecting dust, the marketing and design team for the unpopular product go to work creating new packaging designs to replace their recent failed attempt. Excitement flares with each new design that gets passed around, but wait…did anyone ask, “What’s the problem?” Is there a reason product lingers on the shelf and attracts zero attention? Before any new design is produced, research needs to be conducted on why the current packaging is not performing. Many factors contribute to the success or demise of a product; including: cost, shelf visibility, quality of raw materials, graphics, colors, etc. Before a new design is created, research should be conducted to determine what the problem is. A lot can be learned from visiting your product in the retail environment. If you walked up to your product on the shelf to find all of your packaging slightly damaged or dented, you may have just found some answers on why your product isn’t selling. Maybe the right materials were not specified creating packaging that is deteriorating prior to purchase. Knowing this information would certainly be helpful when creating new designs. There are different variables that need to be acknowledged when creating new packaging. Variables such as visibility of product, “try me” features, benefits included, etc. Know what type of information the consumer is looking for and then provide those features or options. Packaging design should never detract from the product, it should always add value. Prior to creating a new design, know why your current packaging is not performing. Always start with identifying the issues of your current packaging so that those same issues can be avoided in future designs and you know what your problem is! Need help with your designs? Don’t hesitate to contact Brian Pankratz – bpankratz@displaypack.com. Packaging Study Results Are A Must See! Do you know the best way to package your product? Does your product compete on the shelf with other products? If so, you may want to review a recent study that was conducted by Klockner Pentaplast (KP), a manufacturer of plastic films. Klockner conducted a study to determine how consumers shop for product. The same product was packaged in both a clamshell and a paper board carton. The behaviors of shoppers were studied and the results were shared. 1. Product packaged in clamshell type packaging sold on average 400 percent more. 2. The consumer was able to find their product on average 40 percent quicker when they were able to see the product. 3. Clamshell packaging maintained attention longer by 343 percent. 4. Clamshell packages received 675 percent more fixations than cartons. 5. Clamshell packages were purchased over 400 percent more than the standard paper board carton. After the participants shopped, they were asked to fill out a general questionnaire about their shopping experience. Over 88 percent stated that it was important to see the product they purchased. They also agreed the plastic packaging was higher quality and more tamper-resistant. I want to take the time to look at this study, not from a plastic film manufacturers point of view, but from someone who designs and manufacturers both clamshell and paper board carton packaging on a daily basis. What are the main take-aways? It is clear that when the consumer can see the product, it allows them to get a comfort of what the product is and what they are buying. The main point of the study is clamshell vs. paper board carton. One could argue that other types of packaging, such as windowed cartons, sealed or trapped blister packs, etc., may have a different outcome in the study. Debating this would only get you unanswered questions, just don’t forget the main take-away, show your product! We all know that packaging is considerably more complex than deciding clamshell vs. paper board carton. If you have a clear understanding of how consumers shop, you also know that it isn’t only about clamshell vs. paper board carton. Colors, images, brand recognition, sustainability concerns, etc. play an enormous role on how packaging is designed. When developing packaging for your product, ensure to explore all your options. Your packaging designs are only limited by the person designing them. Engage innovation, creativity, and be different to draw attention to your product and gain the attention of the consumer. Read Klockner’s full study here. If you would like more information about ways to create new packaging designs that sell, contact Brian – bpankratz@displaypack.com. Don’t miss a week! Sign-up today at http://www.brianjpankratz.com to get new posts sent directly to your email. If your packaging could talk…what would it say? What would it say about both you and your company? Some of us are thinking to ourselves that we’re very happy our packaging can’t actually talk. A smaller percentage of us wonder what would actually be said. Regardless of the side that you take with wanting your packaging to talk, there is a sobering truth that lingers. The truth is…packaging does talk. How we package our products tells a lot about us. This is consistent with many things in our lives…how we dress, the car we drive, the words we use, etc., all tell a little bit about who we are. This goes the same for how you package your product. Determine what you want your package to say. Certain colors, textures, fonts, and shapes all communicate different messages. Being unique and creative is essential and will help your packaging to speak loud and clear. Great manufacturers understand that every detail matters. If you want to be regarded as a top innovator, your packaging should be as innovative as the product inside. Doing this gains confidence with the consumer that attention has been given to every detail, even the packaging. Do consumers notice this? Absolutely! Your packaging is talking…did you tell it what to say or is it telling everyone that you are a !@#$%^! If you would like more information about ways to create packaging that speaks a clear message, contact Brian – bpankratz@displaypack.com. As the 2012 holiday season approaches, shoppers prepare to rush the stores in search of gifts for family and friends. A survey conducted by BIGinsight reported that the average holiday consumer will spend approximately $750/person on gifts, décor, greeting cards and more this holiday season. According to the National Retail Federation, holiday sales are projected to increase this year 4.1 percent to $586.1 billion. With such a huge market for products to thrive in, manufacturers cannot afford to waste a holiday! Each manufacturer needs to understand how they can package their products to reach the holiday consumer. I understand that some products do not lend themselves to a holiday market, but for those who do, capitalize on the opportunity. I was recently discussing packaging ideas with an established candy manufacturer for one of their everyday items. When I asked what they do for the holiday season, they answered, “nothing.” To my surprise, I couldn’t figure out why they would let the holidays go by without some sort of offering. They have so many different great products, a holiday variety package including some of their best sellers could be a huge hit. Unfortunately, no thought was given to creating a product offering for their faithful following. 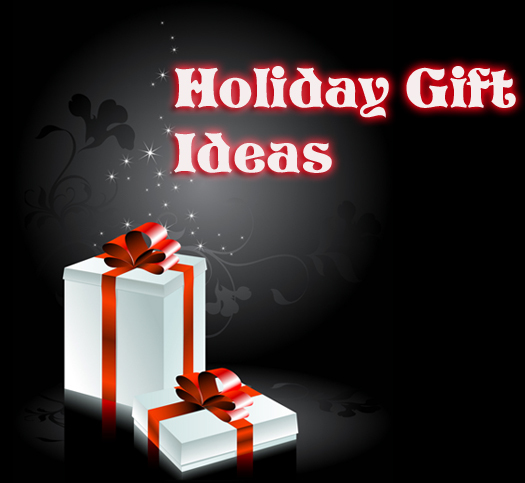 Start planning now for ways your product can capitalize on the 2013 holiday consumer market. Be creative…there are many different segments of the holiday market that need good gift solutions for those “hard to buy for” people! Whether your product can be packaged for corporate gifts or stocking stuffers, find the packaging that offers a great gift idea. Generate cost effective ways that you can help others make shopping this holiday season easier. If you would like more information about ways to create holiday packaging ideas, contact Brian – bpankratz@displaypack.com. **Series Finale** “Buyers Guide to Packaging” – Week 9: Are You Impressionable? If you have been following the “Buyers Guide to Packaging” series from the beginning, I hope you have learned some valuable information that will help you be more successful. I invite you to continue to follow along each week as I continue to uncover new subjects that help you to understand the packaging industry. Don’t forget to subscribe at www.brianjpankratz, to have each week sent directly to your inbox. 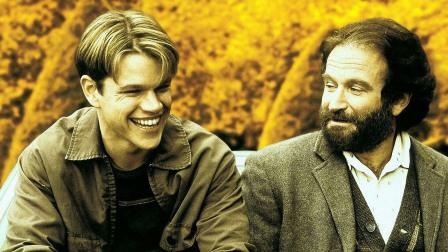 One of my favorite movies is “Good Will Hunting.” There is a scene in this movie that’s absolutely awesome. In a previous scene, Will Hunting (Matt Damon) talks bad about a painting that his psychiatrist, Sean Maguire (Robin Williams) painted. Later in the movie, Robin Williams meets Matt Damon on a park bench and Robin Williams returns the favor speaking directly into the heart of Matt Damon. Although Matt Damon is considered a genius on many levels, Robin Williams asks him if he has ever been inside the Sistine Chapel, or knows what it smells like when you walk in the door, or what it’s like to stand and look up at the magnificent painting with your own eyes. He then continues to ask him if he knows what it’s like to wake up next to a woman and feel true happiness. Although Matt Damon understands what he has read and been told, he lacks the first-hand knowledge that you can only get by actually being somewhere. This specifically goes for your suppliers as well. In order to get a true understanding of your supply base, you need to take the time and make the visit. Yes, we are all busy, however, by taking the time to visit your suppliers, you can learn a great deal about them. If you are new to the industry, it is good to spend time with your suppliers to get an understanding of how each manufacturing process works. If you have been in industry a while, then put your experience to work to determine if your supplier is operating to meet or exceed your expectations. – What capabilities does the supplier have? It is good to use suppliers that can be utilized for many different disciplines. Suppliers that have more capabilities can cut down on the number of suppliers needed. – Who else does the supplier currently work with? How long? It is important to know who the supplier’s customer base is and how long they have been working together. It is also important to know who the supplier worked with previously and why they are not working with them any more. Good suppliers should have reputable sources that they work with. My company creates packaging solutions for nine out of the top 20 companies on the Fortune 500 list. We couldn’t do that if our organization was riddled with quality issues and a lack of ability to perform! – What Strengths and Weaknesses Are Visible? Cleanliness, lighting, clutter, clear labels on materials, good work/product flow, etc., are all areas to look for. One of my favorite questions to ask someone who is manufacturing product is…“how do you know you are making acceptable product?” If the operator cannot answer this question…beware! When I give tours of our facility, I don’t expect our customers to understand all the details of what we do. I would rather them ask questions so they can gain a full understanding of our operation. Don’t be afraid to ask a lot of questions. It is the ability to understand the operation that will give you the knowledge to be a better buyer. Yes, visiting suppliers takes time, energy, and money for travel. Ensure that you are working with good suppliers, not by hearing about them, but by visiting them. Walk the floor and create a learning experience to enhance your knowledge on how to better serve your company and your products. If you would like more information about Display Pack’s new products or are someone looking for packaging solutions and want to learn more about the packaging industry, contact Brian – bpankratz@displaypack.com. Don’t miss a week! Sign-up today at http://www.brianjpankratz.com to get Next Week’s Topic: “Don’t Waste a Holiday! Holiday Packaging Ideas” sent directly to your email. Since buyers deal with money, the result when a buyer makes a mistake usually means a loss of money or profit. You guessed it…the bigger the mistake, the bigger the financial loss. Let’s take a look at some simple things to keep that from happening. How many times has a supplier asked questions after receiving a request for quotation? Every answer to each question will determine if the price goes up or down. 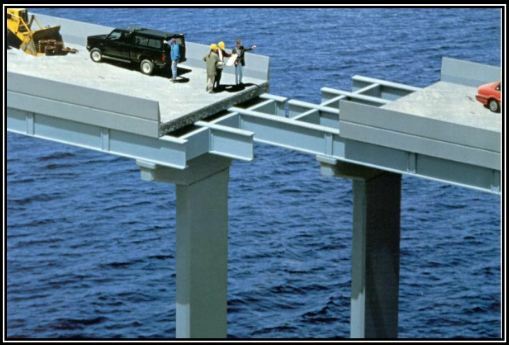 When you aren’t sure…or don’t have the right information, the supplier may be safe and quote a higher price. Also, ensure to tell the supplier about the intended use for the packaging so they can offer suggestions that can save money. Personal example: I recently had a customer ask me to quote a clamshell package for their electronics product. After having a short conversation and asking the right questions, I was able to learn that there are 5 other clamshells that are very similar to this one. We were able to create a tool that allowed for the change out of inserts in the mold and saved $25,000+ in tooling and also allowed him more flexibility for ordering his product. The manufacturing industry is quite similar to the computer industry. New breakthroughs continue to emerge that can save companies money and help them to reduce costs. When is the last time you invited a new supplier in to see what they can offer? Buying based on price alone is one way to get in trouble. Although price is usually the key driver in selecting a supplier, look at other areas as well. Quality, product offerings, innovation, delivery costs, on-time delivery, etc. can become costly if ignored. For example, you can get a great price on packaging components, but it will take 8-12 weeks to get them. If your customer demands you ship them in 4-6 weeks, you may need to pay a little more to get the quicker turn around for your product. A buyer’s job is very demanding. Getting the right people involved can make a huge difference. 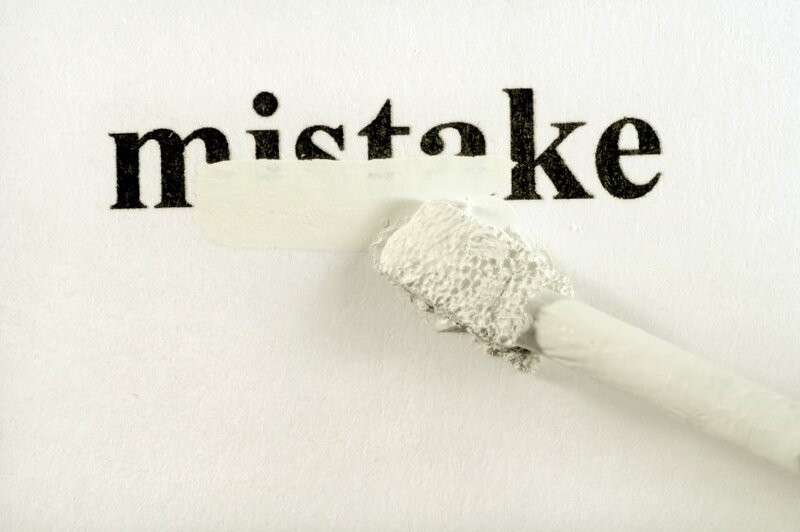 Yes, mistakes are going to be made, but learn from them and seek advice when needed. If you would like more information on new ideas or new products the packaging industry has to offer, don’t hesitate to contact Brian – bpankratz@displaypack.com. Don’t miss a week! Sign-up today at http://www.brianjpankratz.com to get week 9 of “Buyers Guide to Packaging” sent directly to your email. “Buyers Guide to Packaging” – Week 7: The Glass Slipper! I was very blessed to have a daughter over nine years ago. When she was born I immediately realized that one of my responsibilities as a father would be to sit through “girly” movies with her. I remember taking her to the movie Cinderella, sitting next to her and watching her different facial expressions as she watched the movie. She scowled as the mean step-sister tried to force a fit by stuffing her oversized foot in the glass slipper. Later, as Cinderella slid her size three foot into the glass slipper creating a perfect fit, my daughter smiled with her head slightly tilted. As a buyer, it is equally important to find the right fit with your suppliers. Different packaging companies have different capabilities and strengths that can help their customers to be successful. Certain packaging companies are great at coming up with new and innovative packaging solutions, while others are not. The important thing is to do your research; suppliers should be able to tell you what their strengths are. I respect and appreciate those in business who always lend an ear to listen to a new opportunity. Good business people understand the need to constantly search for new ideas. The danger lies with those who close themselves off from ever hearing from others on how to improve what they are currently doing. I understand the busyness that our jobs bring, but also realize that there is an extremely competitive market out there, so, if you’re not moving forward, you’re going backwards. There are usually consequences when suppliers try to force a fit. The consequences include: poor quality, not being able to deliver on time, increased costs, unmet expectations, etc. Good Suppliers will make sure to tell you when the fit is not there and buyers need to respect that. This is why it is also important for buyers to understand the supplier’s capabilities before projects come up so you know who to turn to. To be highly successful, create a list of suppliers and their strengths, if you have a need that your current supply base can’t fulfill, seek out suppliers who can. Don’t limit the success of your product by the limitations of your supply base. Don’t miss a week! Sign-up today at http://www.brianjpankratz.com to get week 8 of “Buyers Guide to Packaging” sent directly to your email. “Buyers Guide to Packaging” – Week 6: Consumers Have Expectations. 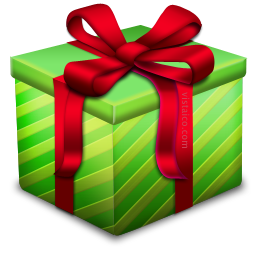 Have you ever tricked someone by wrapping a small gift in a rather large box? Many people have done this to try to disguise their gift and alter the expectation on what is lurking under the shiny wrapping paper. We all have expectations as we go about our day; you expect your alarm to go off when you set it, you expect the sun to come up in the morning, you expect a light to come on when you flip the switch. The same goes for packaging, when consumers pace the aisle looking for a particular product, they have an expectation on how that product should be packaged. The question is…did you meet their expectation? It’s easy to picture how each product should be packaged to meet our minimum expectations. If we take the example of cereal, we know that cereal usually comes in a bag inside a box. What would be your reaction if you opened up the box and found the cereal was in the box without being in a bag? Would this meet your expectations? If you were buying golf balls and one brand was in a nice fancy shiny carton and the other brand was in an unlabeled clear plastic bag, which one would you consider to be the better golf ball? Which one would you choose if they were the same price? If a printer cartridge was just in a bag and not a carton, would you consider it to be a better value? Probably not! The reality is…consumers have certain minimum expectations when they purchase products. When products don’t meet these expectations, the consumer calculates a lower perceived value of the product and may decide to choose another due to lack of confidence with the product. As a buyer, it is important to understand the expectations on how your product should be packaged. When packaging exceeds the expectation of the consumer, a product is perceived as a premium and may allow for a higher price point. Don’t give the consumer a reason to doubt your product. Understand ways to package your product that add value and build confidence with the consumer. Don’t miss a week! Sign-up today at http://www.brianjpankratz.com to get week 7 of “Buyers Guide to Packaging” sent directly to your email. 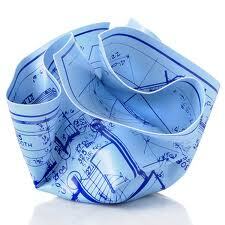 There are several factors that contribute to how product is packaged; size, shape, weight, how many components, etc. One of the more important factors that manufacturers need to consider is to know where the product will be sold. Let’s get right to the point…grocery stores like product on shelves, where hardware stores like to hang product on peg hooks. The point is, retailers like products they sell to be packaged a certain way, if you fail to package your product to their specifications, you will be left with two choices…either spend time and money to redesign your packaging or search for stores that will accept your packaging as is. The key is to know your retail environment and to design packaging around the retailers expectations. Knowing how big or small to create your packaging is important to the retail environment. You may have a desire to create a large package creating a billboard telling everyone about your product, but for retailers, oversized packaging decreases profits. Big retailers, such as Wal-Mart, have every square inch of their store accounted for. If they can’t get the profit they need because your packaging is too big or bulky, you won’t see the hook or the shelf! Retailers appreciate products that arrive with options. When the exact retailer is unknown, try to create packaging that fits both situations. Several packaging designs offer both the ability to be hung from a peg hook or to stand alone. Knowing these options will help your chances of a successful product launch and less issues at the retail level. The key to designing packaging that retailers appreciate starts with providing the right information to your packaging provider. More information is always better. Specifications and guidelines will help ensure that the correct packaging is designed and success is achieved at all levels from concept to the customer experience. Don’t miss a week! Sign-up today at http://www.brianjpankratz.com to get week 6 of “Buyers Guide to Packaging” sent directly to your email. 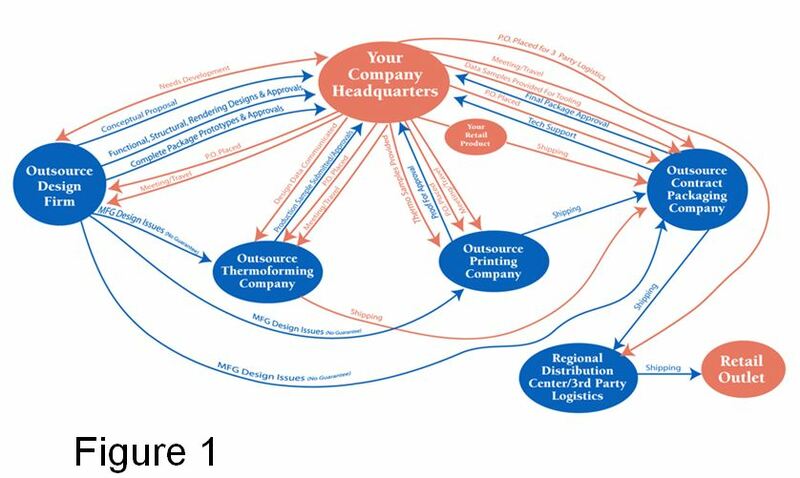 If you were to create a flow diagram of the tasks in a buyer’s work day, it would resemble a spaghetti dinner (see Figure 1). A buyer’s day is filled with getting quotes from multiple suppliers, issuing purchase orders, handling design issues, traveling to multiple companies for meetings, setting up deliveries, and the list goes on. For some buyers, this spaghetti dinner can be hard to digest. Thankfully, there’s more on the menu than spaghetti . This past week, Packaging Digest released an article about the how using a packaging supplier who has the capability to be a single source solutions provider can result in major benefits, major benefits that save money and help to reduce the many steps of dealing with multiple suppliers. There is a list of both benefits and cost reductions associated with working with a supplier who can provide single source packaging solutions. – Decreased administrative responsibilities, such as; PO’s, setting up delivery appointments, etc. 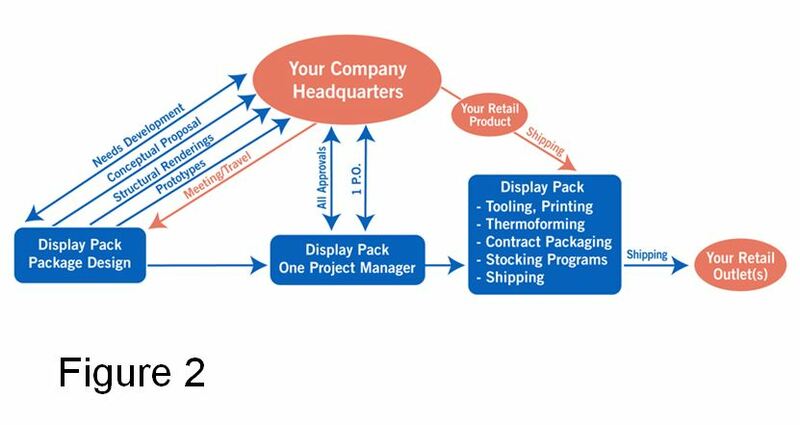 Working with a supplier that can provide single source solutions results in a new diagram (see Figure 2), allowing buyers the opportunity to reverse the pattern of having to do more with less, being effective and taking unneeded steps out of their day. Single source solution suppliers can be the missing link to help manufacturers be successful and profitable in a growing and competitive market. Utilize the resources of key suppliers and grow your brand and your profit margin. Don’t miss a week! Sign-up today at http://www.brianjpankratz.com to get week 5 of “Buyers Guide to Packaging” sent directly to your email. “Buyers Guide to Packaging” – Week 3: Never Assume!!! One word that I have really grown to dislike over the years is the word “Assume.” When I started out in my career, I have to admit that I used the word occasionally. Unfortunately for me, every time I used the word, I made the wrong “assumption”. According to dictionary.com, the definition of the word, “assume,” means: “to take for granted; accept without proof; suppose.” Who wants to be known as someone who takes things for granted? Certain professions work with “just the facts”, without proof, there is nothing to talk about. However, when we quote packaging solutions, we may need to include assumptions for a number of different reasons. There are two issues that exist when something is assumed. One issue comes from the customer when requesting a quote and the other comes from the supplier when quoting back to their customer. First, let’s take the side of the customer. When requesting a quote, understand what information is needed to avoid getting a long list of assumptions. Without the proper information, suppliers make assumptions that you may or may not agree with. Understand the assumptions and how they affect the overall cost of your packaging. Some assumptions will offer a lower price that will later be increased with additional information and other assumptions will drive costs up unnecessarily giving you numbers that are higher than what will be needed. There are many variables, understand the key variables that affect cost. Second, let’s take a look at the side of the supplier. What do suppliers do when specifics are unknown? That’s right…they assume. Good suppliers will be back asking questions to get additional details to give more accurate pricing. An example would be…Customer XYZ requests a red thermoformed blister. In this case, “red” isn’t clear enough. Knowing that two similar shades of red can have completely different costs due to the amount of certain pigments is important to understand before proceeding. Helping define what reds are less expensive will help the customers overall cost. It’s always better to provide the information up front and have costs that are reliable. To do this, understand what the requirements are for pricing to be firm. If the information isn’t provided, an assumption was made. The question is…will it make the price go up or down when more information is provided? Don’t miss a week! 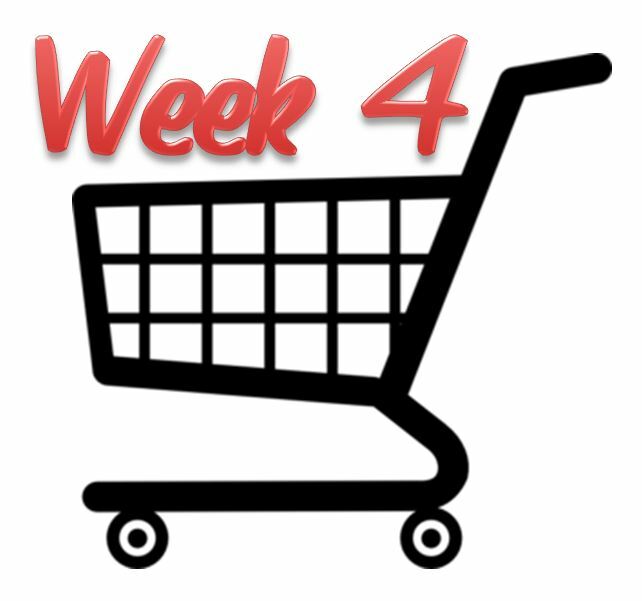 Sign-up today at http://www.brianjpankratz.com to get week 4 of “Buyers Guide to Packaging” sent directly to your email. “Buyers Guide to Packaging” – Week 2: The Almighty Dollar! As consumers shop, they have an expectation of how something should be packaged. For instance, do you think it makes sense to put a pair of blue jeans in a clamshell? Consumers have an expectation that blue jeans will be folded neatly and accessible so they can be easily tried on. Toys will be packaged so kids can try them out, and electronics will be packaged so they don’t get damaged or stolen. My point? Know your product so you can meet or exceed the consumer’s expectations! When comparing similar packaging, ask for specific material specifications along with the price of the components. Don’t fall victim to down gauging for price reductions when the material quoted will not meet the requirements or keep the integrity of your product while on the store shelf. The bottom line is to know what you are paying for. Don’t sacrifice quality for cost. Good packaging suppliers will be able to tell you what materials you need to keep the integrity of your product’s packaging. Quality packaging equals quality product! 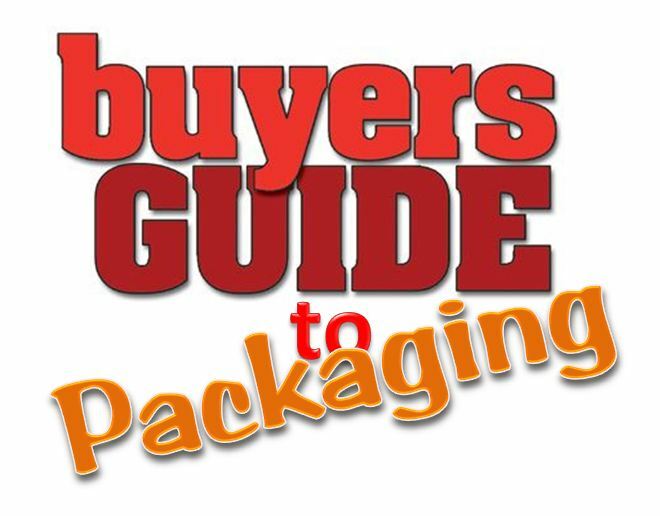 This week launches us into a new weekly series titled, “Buyers Guide to Packaging.” The information I will be offering in this series will make it a “must read” for every buyer in the packaging industry. If you are a buyer, then you understand fully the continued pressure to drive out waste and cut cost. Not knowing how to do this could be frustrating at all levels. My goal in this series is to inform buyers and give them the tools needed to maximize their buy while driving cost out of their operation without sacrificing the integrity of the brand. 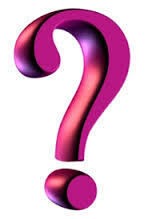 This week I am going to give you a simple question that you can ask your packaging suppliers. The simplicity of this question should not be confused with the results it can yield. Your suppliers know what materials run better than others, what sizes layout better on their equipment, and ways to optimize design features for smooth manufacturing. The problem is, some buyers never ask…and some suppliers never tell. Why Don’t Suppliers Say Anything? So, why is it if suppliers know how to save their customer money, they don’t say anything? There are a few reasons why this may happen…some customers aren’t open for change, some suppliers think designs are set in stone and can’t be changed, the other reason is…buyers don’t ask. As a buyer, it helps to know what materials are more cost effective, how certain designs dictate costs (specifically what features add cost), and the specifications of your suppliers equipment. For example, if your supplier has an offset printer that can print up to 6 colors on the front side and 1 color on the back and you send over artwork consisting of 4 color process with 3 spot colors on the front, you just bought yourself 2 passes. There are many examples like this, I think you see what I am talking about. Remember that every detail matters! Working together with your suppliers in the initial stages of projects is the best time to have these types of discussions. Let your supplier help find ways where costs can be cut and profits can increase. If you don’t ask the simple question, you may never get the simple answer. 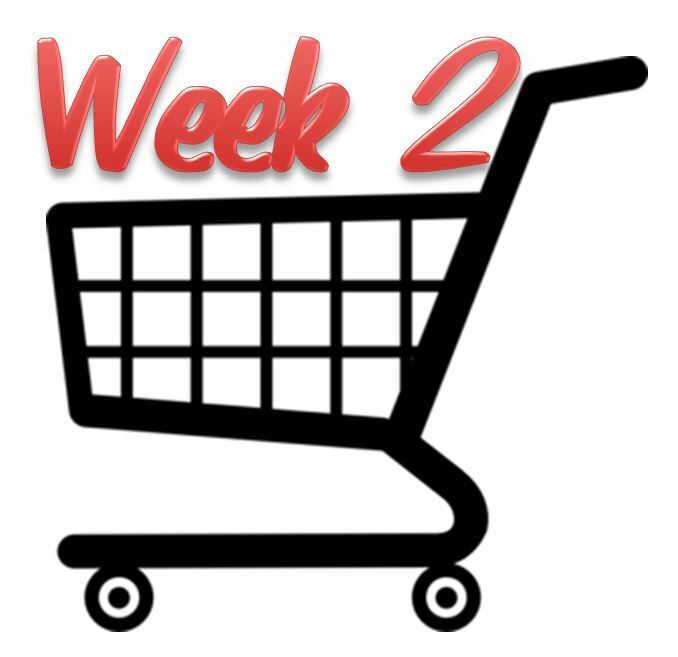 Don’t miss a week, sign-up today at http://www.brianjpankratz.com and get week 2 of “Buyers Guide To Packaging” sent directly to your email. For questions or comments, please contact Brian Pankratz, bpankratz@displaypack.com. We all have a list of things that we should do…but what about a list of things that we should never do? Chances are that if you have done even one of the items listed below, you regret it today. Let’s face the facts…we are all busy, right? Some companies are understaffed, overworked, and lack the tools to do the job correctly. New products and packaging need to be developed and there just isn’t enough time in the day to get it all done. Whether your budget isn’t big enough or you just don’t have enough time, cutting corners could lead to an unexplainable disaster. I am sure that if I took a poll of the general packaging community and asked the question, “What things should you never do in packaging,” I would get a wide variety of answers. But, after all the answers were sorted, we would have some common themes that would be similar. 1. Make environmentally false claims on your packaging. 2. Never ship product you know is bad. 3. Never copy packaging without understanding if there are patents involved with the current design. 4. Skip valuable steps like ship tests to meet launch dates. 5. Make material changes without informing your customer. After reading the list, a high percentage of us will agree that the risk is not worth any short-term gain that is achieved by making an unethical decision. Making the wrong decision can affect you personally, your company’s reputation, and the industry as a whole. Sometimes, knowing what not to do is just as important as knowing what to do, and can certainly keep you out of imminent danger for your product and your career in packaging. New Series Starting Next Week! 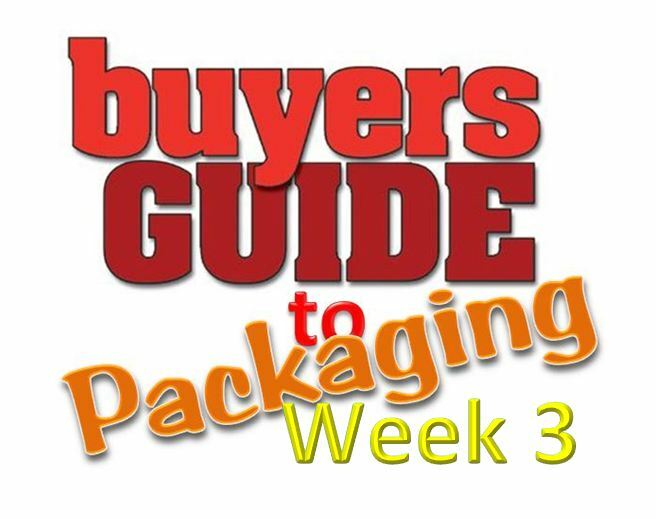 Next week I will be starting a weekly series called, “Buyers Guide to Packaging.” Subscribe at http://www.brianjpankratz.com to get it delivered directly to your email each week. Have you ever had the urge to grab a product off the shelf and take a closer look because the packaging was inviting you to? As consumers sort through different products on the store shelves, engage their curiosity by creating simple features within the packaging design that invite interaction. Sure…designers around the globe are searching for new and innovative packaging designs with hopes of winning an award to put their company on the map, and hopefully, this year Display Pack will win our 6th Ameristar Award, but that’s not what I’m talking about. I’m talking about simple features that you can add that speak to the consumer. This isn’t rocket science, but a simple reminder to add creative features to your packaging to engage the consumer. Does it always make sense to add one of the features below? – Maybe not. The packaging designer should understand the product and then design features that highlight the areas that will help to better sell the product. The use of these simple features can create desire and interest for the consumer leading to increased sales. Although these features are simple, knowing how and when to use them is important. The terms “Tamper-Resistant” (TR) and “Tamper-Evident” (TE) are two terms that are often used to describe the security of a products packaging, but these terms have very different meanings. Knowing the difference between these terms is important when determining what is best for your product’s packaging. Tamper-Resistant refers to a feature of the product packaging that is created to resist access to the product. Tamper-Evident packaging describes a feature that makes unauthorized access to the product easily detectable by the consumer. The concept of “Tamper-Proof” packaging is not used by regulatory agencies since no packaging design is considered impenetrable. Food and drug manufacturers carry the highest percentage of burden, but there is risk in almost all industries when TR or TE packaging is not used. Other industries have benefitted from implementing features into their packaging to help combat shoplifting, return-fraud, unauthorized repacking of used components in brand name packaging, and even consumers wanting to sample products before buying. There are many ways that product packaging can be designed to allow for TR or TE features. Regardless if your products are regulated by the FDA or not, TR and TE features offer brand protection and also increase a brands value when steps are taken to protect the product. Retailers Were Asked To Pull Product From Their Shelves – Is Yours Next? In June of 2012, Toxics in Packaging Clearinghouse (TPCH) released their “2012 Assessment of Heavy Metals in Packaging: A Focus on Flexible PVC from Discount Retail Chain Stores”. The samples were focused in the nineteen U.S. States that have laws prohibiting the sale or distribution of packaging containing intentionally added cadmium, lead, mercury, and hexavalent chromium. Although the findings for heavy metals were down from the 2009 report, flexible PVC is still failing at a rate of 15-39% of tested imported packaging. The category of “toys, games, and crafts” had the highest fail rate of 39% of total packages tested for restricted heavy metals. The retail chains where heavy metals were found in their packaging were contacted and asked to remove the product from their shelves and to conduct corrective action measures to eliminate this packaging. With fail rates of fifteen to thirty-nine percent, we have to wonder how much is currently on the shelf that wasn’t tested and still remains on a peg hook today. It amazes me how the U.S. continues to struggle with imported goods containing toxic heavy metals. According to Patricia Dillon, Program Manager at TPCH, the products to watch out for are those that are not packaged in the U.S. Flexible PVC and inks/colorants dominated the non-compliant packaging issues. The best way manufacturers can protect themselves is to know their supplier and where they get their materials. Display Pack, Inc. only uses materials that comply with all specifications for heavy metals and additionally strives to design the most sustainable packaging solutions for our customers. Partnering with innovative U.S. suppliers that certify their materials, as Display Pack does, will help to eliminate costly recalls as well as protect the name and integrity of your product. To read the full report from the TPCH, Click Here. What does it mean to have good quality? The answer to this question will be different depending on who you ask, but whose opinion really matters anyways? 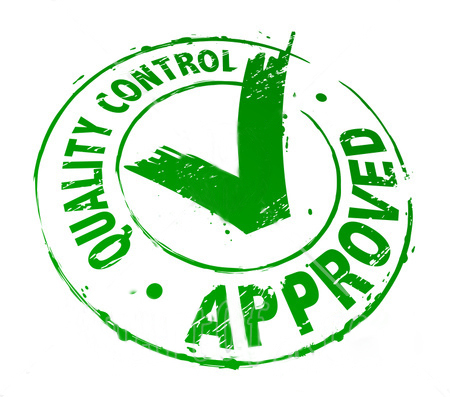 And why is it important to define quality for each individual part or product you manufacture? The quality specifications should be clear in the initial quote phase and should carry through to production. Knowing what the customer’s expectations are for their packaging is important. Using a higher grade material when not needed can cost the customer significantly more money than expected. Don’t assume! Knowing the capabilities of your materials and process is key to understanding what specifications need to be defined with the customer. Since there is a clarity difference between utility grade RPET and virgin PET, which one do they need? What type of quality is being requested? Is a spot color being expected for their company logo and you are running 4 color process in your printing operation? Know what your materials and processes are capable of and define the variables that exist. Once the variables are identified, agreed upon standards need to be set. For printing, it is important to get light/dark standards. For thermoforming, it is important to agree upon how many imperfections are allowed in the plastic. For contract packaging, you need to agree on the appearance of the finished product. Unfortunately, many companies have scrapped acceptable parts and have also sent inferior product to the customer only to find out that their views of “Quality”, didn’t match. When selecting a company for your packaging needs, keep quality at the top of your list. In 2011 Display Pack shipped twenty-five million pieces to one of our largest customers without getting a single return! There are many costs associated with packaging a product. While the raw materials of the packaging are mainly concentrated on in the beginning stages of development, an equal amount of emphasis should be put on the labor to assemble. We’ve all been there; right…someone emails a great packaging concept to us for review. While reviewing the concept on your computer screen, you count 3 different insert cards, a plastic tray which goes inside of a plastic clamshell, an instruction sheet and then let’s not forget about the actual product we are trying to sell along with individual attachments to our product. You view the quote sheet and it lists all of the components, but where are the labor costs to assemble this masterpiece? Being a designer, printer, thermoformer, and co-packer of packaging components, we place a high emphasis on the cost associated with the assembly of the packaging we design. Labor costs continue to increase; being able to design packaging that is easy to assemble is a key ingredient to the profitability of a product. Don’t let it happen to you; be aware of the costs to assemble and seek guidance on any improvements that can be made to take the cost of assembly out. I have to admit, the first time I heard that expression; I was a bit surprised. After careful consideration, it became clear why this comment is so prevalent. The fact is, the packaging industry has many different facets and each one is evolving at an ever-increasing pace with better technology, raw materials, processes, equipment, etc. New designs are possible today that were once considered impossible; including certain aspects of thermoforming, printing, sealing card-to-card without heat or tooling, etc. The packaging industry continues to break new ground and the questions that do not get asked – do not get answered! When it is time to develop your packaging, your greatest advantage is to be informed on all of the options available, asking lots of questions, and partnering with professionals in the industry. Stay informed so that you can make the best decision possible for your product. Don’t assume that an innovative design will be higher in cost or that unique packages are impossible. In most cases, through the development of new packaging, significant costs savings can be realized and fresh designs can be achieved. The packaging world continues to evolve, don’t continually be the one that is last to the market with a fresh design. As different products sit next to each other on the store shelf, what makes one product sell better than another? The answer is: packaging. When consumers go shopping, they are looking for a positive experience, from the time they enter the store, until the product is removed from the packaging. Product packaging plays a key role in the consumer’s experience. There are 5 features that your product packaging must have to create a positive experience with the consumer. Be creative and unique with your packaging. I love Seth Godin’s analogy in his book, Purple Cow. If you drive down the road and see a brown cow, and then another brown cow, and then more brown cows, you quit paying attention to the brown cows. But then you see a purple cow and it captures your attention. Don’t be afraid to be different. If you are like everyone else, you may go unnoticed. Be creative and unique! Good imagery is priceless in packaging. People love to look at pictures that help relate themselves to the product. When you buy exercise equipment you find people in the type of condition you wish you were in. When you buy baby products, you will more than likely find pictures of cute babies on the packaging. Selecting the right images to connect with the consumer is one of the most important elements in good product packaging. When possible, it is always a good idea to reveal some of the product to the consumer. Consumers feel more comfortable with their purchase if they can see at least some of the product. Whenever possible, show the product. I cannot say enough about a clean and concise looking package. Some products do not need ten bullet points to describe the product. Using imagery over text is preferred for most packages. Use colors that contrast against your competitors. Adding more text on a package is not always better. Try to use words that reach into the emotions of the consumer. Unique fonts are a good way to enhance branding. Ensure that the font is legible and easy to read. As manufacturers, we need to find that definitive balancing point between secure packaging and easy-to-open packaging. The consumer’s experience is not as pleasant if they cannot easily open the packaging. 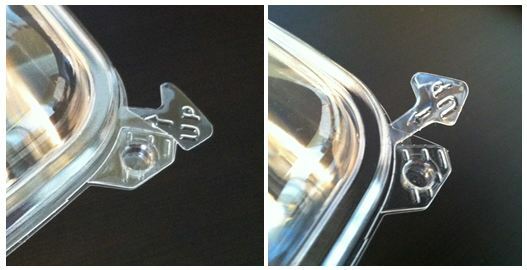 There are new and innovative ways to have both security and easy opening features in the packaging. Ensure that your product is easy to open. Creating a positive customer experience should be the goal of every manufacturer. Implement the 5 elements listed above to create a positive experience that the consumer will remember. “So What?” – Got An Answer? I had a professor in college that would randomly pause during his lectures and ask the class a simple question, “So what?” I have to admit, when I first heard him ask it, I thought he was a little crazy, but then I realized why he was asking it and it turned out to be pure genius. So, what did he mean when he asked, “So what?” Asking it another way might be, “So, why is the information I am teaching important?” The question was being asked from the student’s point of view, he was helping us to make a personal connection with the information being taught. Connections like; how can I use the information in the future, how can I benefit from knowing this information, and what types of situations in the future will I need this information were answered to establish a relationship between the information and the individual. Have you ever asked that about your product’s packaging…“So what?” Asking this question another way might be, “So, what is so special about my packaging that differentiates it from its competitors?” Differentiation is one of the most important things you can offer your brand. Out of our 5 senses, the sense we rely on the most as a consumer is our sight. As we scan product, our brain registers things we see, it passes over things we have seen before, but when it arrives on something unique, interesting, or maybe colorful, our curiosity is momentarily captured. When we dare to be different, we attract attention. There is an appreciation for companies who are innovative and set themselves apart from their competition. The companies who set themselves apart have done so by personal connections with the consumer. They have answered the “So what?” question and have found answers that connect the consumer to their product. Can you answer the “So what?” question about your product? This is exactly what Hasbro, one of the world’s largest toy manufacturers concluded earlier this year. After reviewing the packaging of some of their major brands, they realized that there was room for improvement and set a goal to reduce their product-to-package ratio by 15% by the end of 2013. When we talk about improving the product-to-package ratio, creativity must be at the top of the list. Several companies search for the best packaging design, hoping that their competitor doesn’t find it first. Some companies set the standard, while some try to live up to it. Take a look at the pictures to the right. 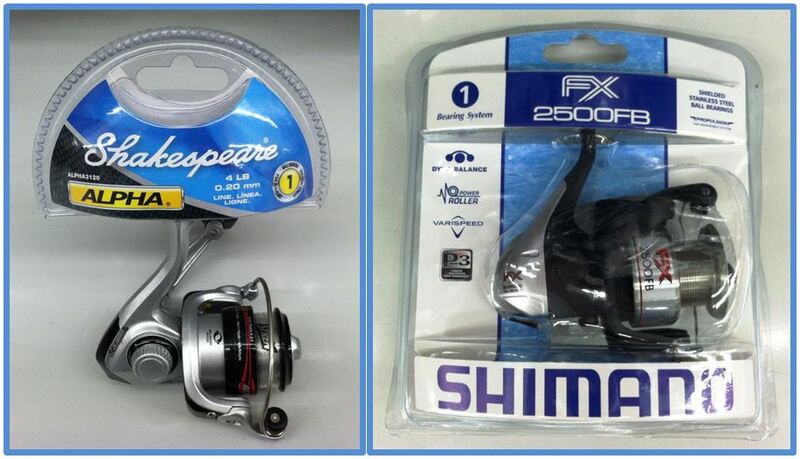 Shakespeare and Shimano are both manufacturers of fishing reels. As I walked down the aisle in my local department store, I couldn’t help but notice that one company (Shakespeare) had figured out how to pack their product with 60% less plastic and paper board than their #1 competitor, and it looks great! Two companies selling the same product, but in this case, it’s clear that Shakespeare found a way to package their product for a fraction of the cost of their competitor. Could this be one of the reasons Shimano once produced golf supplies and snowboarding equipment, but then later abandoned those markets claiming they were unprofitable? Here are 5 reasons why you should pay attention to your product-to-package ratio. As a manufacturer of thermoformed and printed packaging, we almost always suggest a new design that would provide most of the benefits listed above. New packaging designs are constantly being developed that ignite consumer attention. 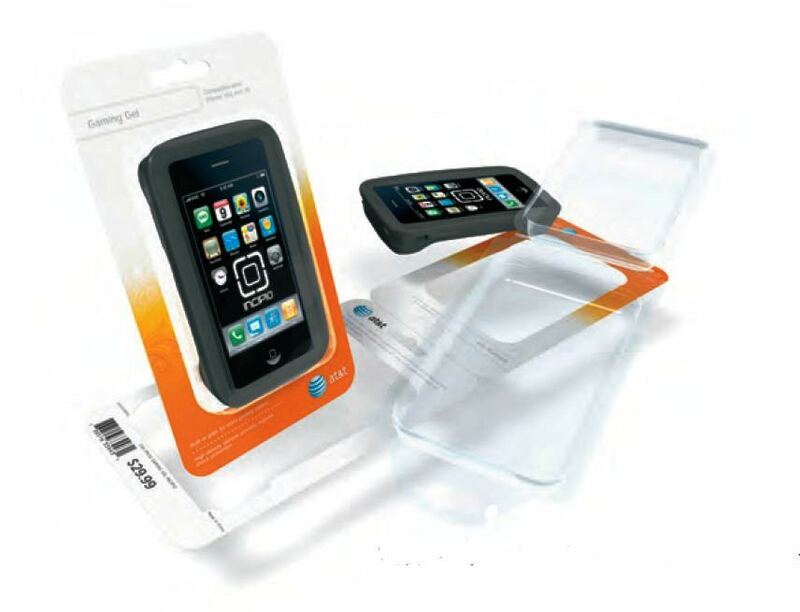 In 2010, AT&T benefitted after working with Display Pack, Inc. on new packaging ideas for their cell phone accessories line. After redesign, the new packaging reduced 66% on paper board and 34% on plastic, later winning an Ameristar Award from the Institute of Packaging Professionals (IoPP). Is it time to take a look at your existing packaging? Let’s start with a question: “When should we start to develop packaging for our new products?” Packaging is often an afterthought and is given little time to develop. Product development teams slave over every little detail of the product itself, and as the launch date sneaks up, packaging for the product gets rushed. Sound familiar? In this scenario, the product team didn’t help the future success of the product. There are many of us who understand the value of good packaging and what it takes to create, but for those who don’t, their product is at the mercy of their ignorance. According to Marty Neumeier in his book The Brand Gap, “A retail package is the last and best chance to make a sale.” If this statement is true, then significant time and effort should be put into the packaging of the product. Product features are revealed, not hidden. Market studies on existing product packaging can be done ahead of time. Ways to differentiate the new product from its competitors. Speed to Market: packaging is developed during product development resulting in less time after product development is completed. Let’s put ourselves in the shoes of the consumer…If we’re holding two very similar products from two different manufacturers, one in each hand, what will help us to make our decision on which one to buy? That’s right…the one that communicated the best value. Get the right people involved early so that packaging designs that catch the attention of the consumer can be created. You don’t need to have all the answers yourself; you just need to call those who do. What You Need To Know About That “Hard-To-Open” Packaging! Plastic packaging has attracted negative attention over the years for being hard to open? Retailers want secure packaging for their product. Manufacturers and packaging designers are in search of packaging that is secure and will not contribute to increased theft rates. Over the years manufacturers have been blamed because packaging is too hard to open. Claims of people getting hurt while opening the packaging has created a market where additional tools were created just to get inside the packaging. As manufacturers, we understand that in some cases, packaging was created difficult to open for a reason. High theft rates from poor packaging can result in product being pulled from the shelves. Good packaging serves a purpose for deterring individuals from shop lifting. We are now faced with the challenge of creating a secure package that is also easy to open. Going forward, there is hope that will change the negative perception of opening packages. New packaging has been developed that offers both security and easy open features. Packaging that creates a positive experience with the consumer and will get them talking in a positive way about the new packaging design. Can you imagine packaging that offers security but also “POPS” open? Easy open features are getting the attention of many manufacturers and praises from many consumers in the market. New packaging designs have been developed that leave the consumer praising the product because of the positive experience that was created from purchase to product use. Make opening packages an experience the consumer will not forget. As organizations look to improve the packaging of their products, more and more are turning to Display Pack, Inc.’s award winning Ecohesive™ packaging. The packaging concept has been around for many years, but continues to gain popularity by some of the best known brands around the globe. Ecohesive™ is a special cohesive coating developed by Display Pack. It is used on the card for simple press and seal assembly of the package. Environmentally friendly – Paperboard and plastic are easily separated and recycled. Also, since Ecohesive™ is designed so that it does not need to be heat sealed, the packaging process eliminates the use of heat and consequently greenhouse gas emissions. Ecohesive™ is made from a renewable resource making it a very sustainable choice. Ease of Assembly – The Ecohesive™ line can be easily assembled by hand. This allows for the ability to manage variation in product assembly as volumes increase or decrease and minimal investment for equipment and tooling. The ease of assembly makes this packaging very affordable. Design Elements – The fold-over card design allows for full color printing on both front and back sides of the paperboard. Ecohesive™ can be designed with either a blister or clamshell with different security and opening options for both. Ecohesive™ can be used for “Club Pack” packaging as well. Board types include recycled board as well as SBS. 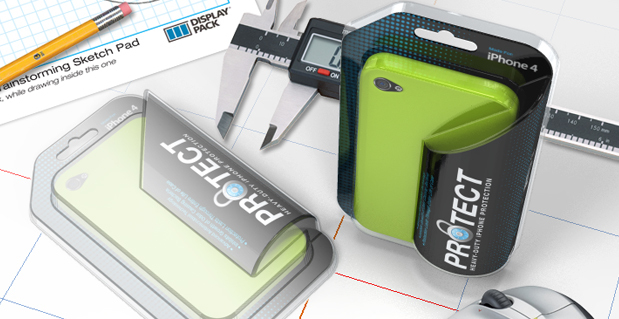 Display Pack’s team has had an amazing track record of designing packaging that sells. In 2012 Display Pack earned their fifth Ameristar Award in six years. Founded in 1967, Display Pack is a company known for its commitment to finding a solution for every customer’s unique need. Have you ever purchased something because of how it made you feel? Good marketing dives into our psyche providing emotional attachment when making a purchase. Studies have shown an increase in sales of 15% when brands reach into the emotions of the consumer. What emotions come to mind when you here Nike’s 20 year old slogan, “Just Do It.” Nike sold more product by giving people an emotional adrenaline high of conquering “It”. The slogan left interpretation for the consumer to replace “It”, with their own personal obstacle. When designing packaging, look for ways to emotionally connect the consumer to your product. Words, shapes, colors, and textures ignite emotion and can connect the consumer to your product. Taking time to plan your packaging design can have a tremendous effect on the success of your product. Here are a few things to consider when designing for consumer emotion. Define The Consumer – Since beauty products will demand different emotions than power tools, you need to identify your target consumer. Men, women, teens, or maybe all ages, this is the first step. Define The Emotion – What emotion would help the consumer to buy your product? As an example, think of the person that would go to the Ford dealership and buy a new truck. With that person in mind, compare Ford’s slogan, “Built Ford TOUGH.” There is a reason the word “TOUGH” was selected. Good luck finding the word “Elegantly” in your local hardware store! Go to the boutique across the street if you want to find that word on any packages. Determine Your Design – Color, shape, size, types of materials, textures, the use of words will all be part of the design and can reach the consumer emotionally at different levels. Determine these elements and put them together for your final design. Being able to emotionally connect the consumer with your product in a positive way is important and will yield higher sales. Take time and define each area specifically for the response desired to connect the product to the consumer. A package is labeled, “50% more recycled content than before.” The manufacturer increased the recycled content of its package from 2 percent recycled material to 3 percent recycled material. Although the claim is technically true, it is likely to convey the false impression that the advertiser has increased significantly the use of recycled material. So, how do you stay away from greenwashing? Be clear – when making a claim, state the specifics of your claim. Don’t embellish your environmental claim. Understand the symbols and verbiage you are using to make your claim. As more emphasis is put on being good stewards of the environment it is important to clearly communicate how your organization is doing this. As always, honesty is the best Policy! 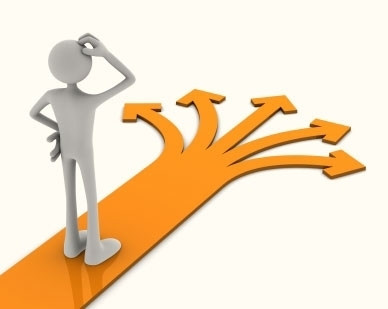 The Big Decision – Whats Best For You? Today’s retail shelves are filled with bags, clamshells, blister packs, cartons, variations of plastic sleeves in chipboard, etc. With so many options, how do you know you are packaging your product to get the best results? If books can be judged by their cover, then certainly product can be judged by its packaging. Where is my product being sold? What is the cost of my product? What information should be in the graphics? How sustainable do I want my packaging to be? How should my packaging function? What type of product am I selling? The consumer has an expectation on how certain products should be packaged. Apple doesn’t use a stock clamshell with an insert card to package there iPads for a reason. They understand that they must present a set-up box that screams quality. Innovative products should have innovative packaging, don’t underestimate the power of a creative package. Understand where your product is being sold. Although oversized packages will catch the attention of the average consumer as they scan the shelves, Wal-Mart will decline on the basis that they can’t afford to sell your product. Since your competition has the same product and is half the size, they win. Good packaging should show the consumer what they are buying and tell why they should buy it. Help the consumer understand the advantages of the product. Why is your product different than its neighbor on the next peg hook? Is there a feature the consumer should know that would help them decide to buy your product over another? Let the packaging help explain that. Sustainable packaging continues to rise to the top of the list when deciding how a product is packaged. Show the consumer that you are a good steward of the environment by the way you package your product. Ensure that the organization you work with for packaging your product has an excellent understanding of marketing and manufacturing sustainable packaging. There is a magical four seconds in retail that every product manufacturer should know about. The “four seconds” is the estimated time that it takes for the average consumer to stand in an aisle looking at product before they extend their hand to make a selection. Visualize the average consumer walking down the aisle to get a much needed accessory for their cell phone. As they arrive at the sea of choices presented by their local retailer, their eyes scan up and down the different choices. Your product sits among 5-10 others that are similar to yours. After approximately four seconds, the consumers hand strikes and makes a selection. Did they pick yours? These four seconds are important, especially when studies have revealed that seventy-five percent of the time, whatever the consumer grabs first, they buy. The goal of the packaging design is to attract attention, something that draws the consumer to put the product in their hands. This does not mean added costs to your design, in most cases newer designs have been created that save money. Be creative, know what new designs are out there and do your upfront work so that you make the most of every consumer’s four seconds. As I consult new and existing companies around the U.S. for packaging solutions, one thing is consistently clear in most cases, a new design was well overdue. Not only was company XYZ overpaying for their packaging, their packaging was limiting their sales potential with being unattractive on the shelf. What is the intent of my packaging? What materials am I currently using? Does my packaging add labor to my assembly? Are there new designs that could increase sales? What is the plastic to paperboard ratio of my design? Yup, you guessed it…simple questions can get complicated rather quickly. There is no danger in asking the questions above. But, there is significant danger in an organization that wishes not ask the questions. Not answering these question can lead to missed opportunity for growth and future sales.